It was reported recently that the Vatican under Pope Francis and the People’s Republic of China are close to reaching an historic deal regarding the resumption of diplomatic relations, as the Vatican has acquiesced to the Chinese regime’s demands regarding the appointment of bishops in China. An agreement could be signed within a matter of a few months, according to a Vatican source. The move is seen as a stunning reversal of the Vatican’s decades-long stance on the issue and has generated widespread criticism of Pope Francis’s leadership. 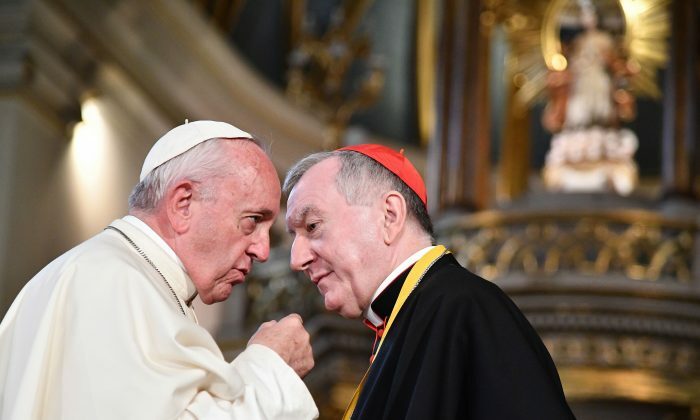 Critics point out that giving up the right to appoint bishops would formally deprive the Vatican of any remaining moral and de facto leadership over Chinese Catholics. It would also, critics say, be a blatant betrayal of China’s underground house church Catholics, who are still heavily persecuted by the Chinese regime. 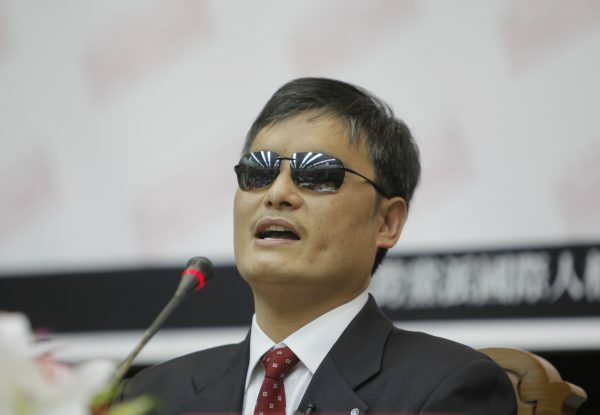 Among the critics of the deal is Chen Guangcheng, a famous Chinese human rights lawyer who gained international attention in 2012 for escaping house arrest and making his way to the U.S. Embassy in Beijing. Chen has since resided in the United States and has continued his civil rights advocacy and vocal criticism of the Chinese regime. “The Vatican’s deal is the equivalent of selling out God’s home to the devil,” said Chen in an op-ed published on Radio Free Asia on Feb. 20. Chen, who is now a senior fellow at the conservative Witherspoon Institute and a distinguished visiting fellow at the Institute for Policy Research and Catholic Studies at the Catholic University of America, said that the Vatican under Pope Francis is naive to sell-out to the Chinese regime, a deal from which only the Chinese Communist Party would benefit. The Vatican and the People’s Republic of China have had no diplomatic relations since 1951, as the Chinese Communist Party has insisted from the very beginning of its rule that it should by itself appoint all bishops of the Roman Catholic Church in mainland China so that the regime can maintain control of the church. A regime-controlled Chinese Patriotic Catholic Association (CPCA) was created to supposedly represent Catholics in China. The Vatican under all previous popes has rejected such an arrangement and refused to recognize bishops unilaterally “appointed” by the CPCA. The power to appoint bishops, known as “investiture,” has been considered to be at the core of the Catholic Church’s teachings. Chen also weighed in on the controversy that recently broke out over the remarks a senior Vatican official made praising the Chinese regime. In an interview, Archbishop Marcelo Sánchez Sorondo, who heads the Pontifical Academy of Social Sciences at the Vatican, said that the Chinese regime today is perhaps best at implementing the Church’s teachings on social issues. Chen also pointed out that Sorondo, a close supporter of Pope Francis’ deal with Chinese regime, had attended a controversial organ trafficking conference in Beijing in August 2017 and made controversial remarks praising the Chinese regime and China’s organ donation policy. “Sorondo’s willful ignorance is beyond disgusting,” Chen said, pointing out that the Chinese regime has yet to be held accountable for the widely reported organ harvesting of Falun Gong practitioners and other victims. “By making a deal with the devil that is the Chinese Communist Party, the Vatican will only humiliate itself and tarnish the church of God that it supposedly represents,” said Chen.